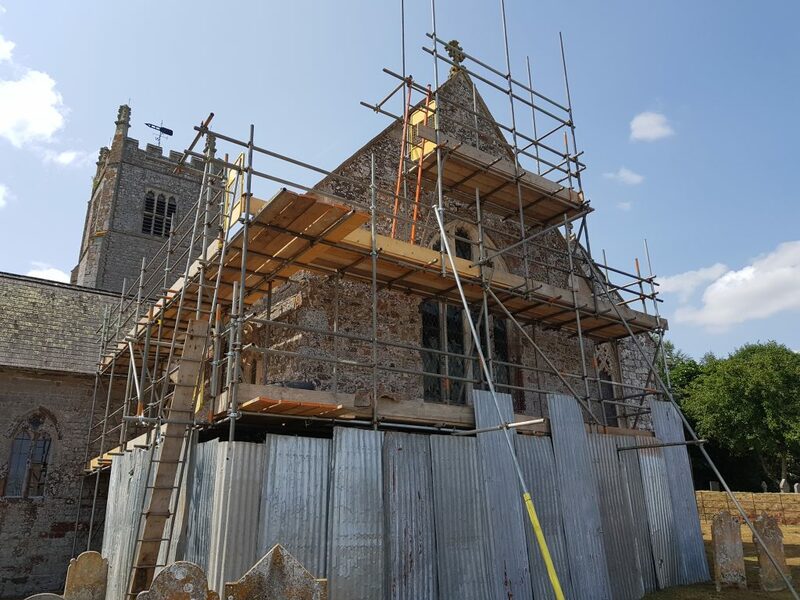 Earthouse Building Conservation have been very fortunate to have been involved in a number of church restoration and conservation projects over the years. There are a wide variety of churches in Devon, built at various stages throughout recent history. 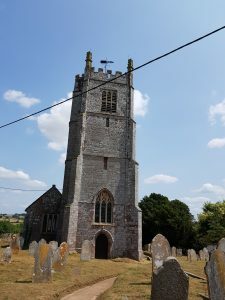 You can read more about the history of Devon’s churches on the Britain Express website. The very first church we worked on was Westwood Chapel around 10 years ago. This was an internal job, re-rendering the walls and around the door and a window. You can read more about this job in our blog post Earthouse Projects. 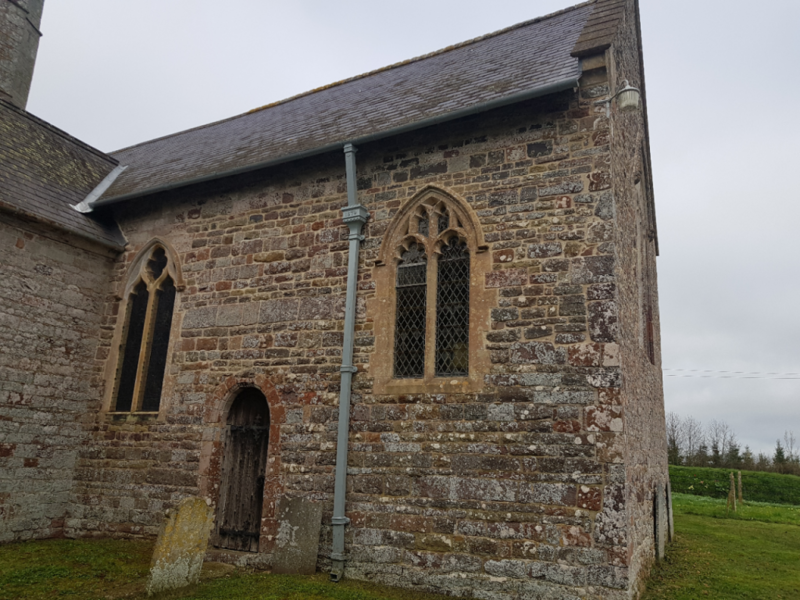 We have recently completed work on the Church of St Andrew in Colebrook, near Crediton in association with Skinner Construction. The church is a Grade I listed building, with the original structure thought to have been built in the late 13th and early 14th centuries. It is mainly built in volcanic stone and read sandstone. 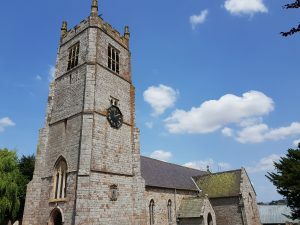 The church has undergone a number of restorations; British Listed Buildings gives a thorough history in their entry on the Church of St Andrew. 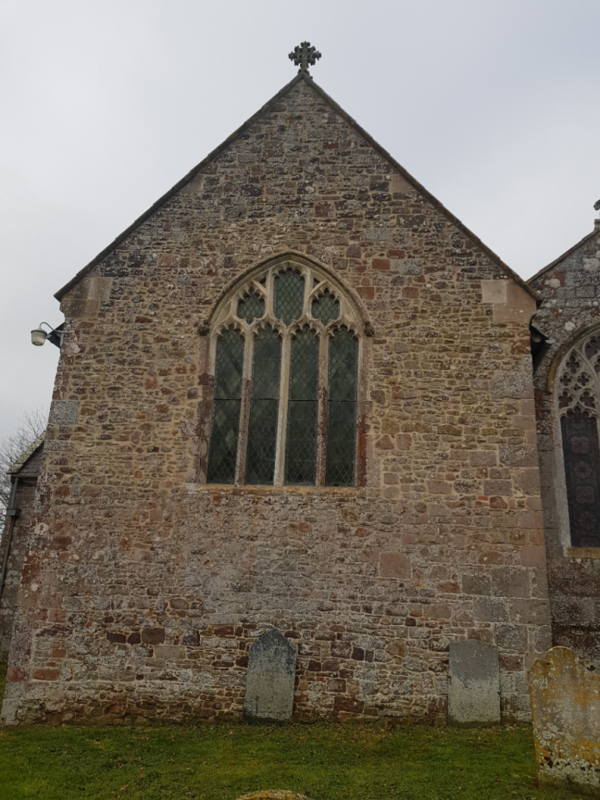 Earthouse was contracted to do a number of structural repairs and to re-point using lime on the south elevation and east gable. We were working from a specification provided by Russ Palmer – Historic Building and Church Architect. 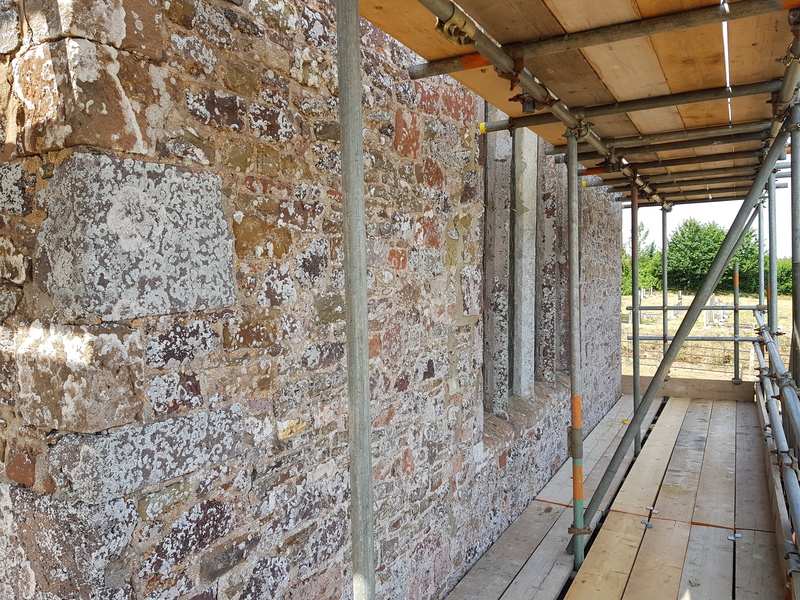 Russ came on site to agree the colour of the lime pointing mix. Russ decided that mix no 1 was the most in keeping with the church and the rest of the existing mortar. The first few days were spent hacking out the existing mortar. It became apparent that there were a few large repairs that needed to be done prior to us re-pointing. We hadn’t been able to see this on our previous visits as there was no access to the higher areas until the scaffold was in place. We used stainless steel helical ties and resin to repair large cracks within the stone work. This strengthens and stabilises the building. The repairs took around 2 days. The lime re-pointing then took a further 13 days. The photos below are the final finished re-pointing. For more information about the conservation and restoration projects we work on, please visit our Blogs page. Alternatively, please feel free to contact us. Earthouse will never use your details to send junk mail and we will not be passing your contact details on to third parties without your permission. The information you provide in this form will only be used by our team to respond to your query. Earthouse specialise in cob construction and can restore your historic cottage using cob blocks, traditional lime rendering and plastering, and limecrete floors.